Yes! Send me my complimentary 1st Pet Welcome Pack! Our surgeon, Dr. Dan Guastella, performs a wide variety of surgical procedures every day with the latest surgical equipment and techniques. Laparoscopy is a surgical technique used to enter and explore the abdominal cavity with specialized equipment through very small incisions, instead of a traditional large incision. A thin lighted tube (telescope), attached to a high definition camera, is inserted into the abdomen thru these small incisions and organs are visualized and even magnified to enhance diagnostic capabilities. Numerous types of surgeries can be performed with laparoscopy that, in the past, were traditionally performed as “open” surgical procedures with large incisions. The term “arthro-” in medical terms refers to articulations, or joints. Therefore, arthroscopy is a diagnostic and therapeutic tool we can use to look into joints such as knees, elbows, & shoulders. Joints in dogs and cats can be very intricate and small. Arthroscopy allows us to see them magnified and in high definition to better diagnose and treat certain orthopedic (bone and joint) conditions. Arthroscopy has become a mainstay to treat human and equine orthopedic conditions. The thorax is a medical term referring to the chest cavity; therefore, thoracoscopy is a method of performing minimally invasive diagnostic and therapeutic chest surgery. Traditional chest surgery (usually involving the heart or lungs) can be a very painful experience. Thoracoscopy allows us to perform certain procedures through much smaller and less painful incisions than open chest surgery. 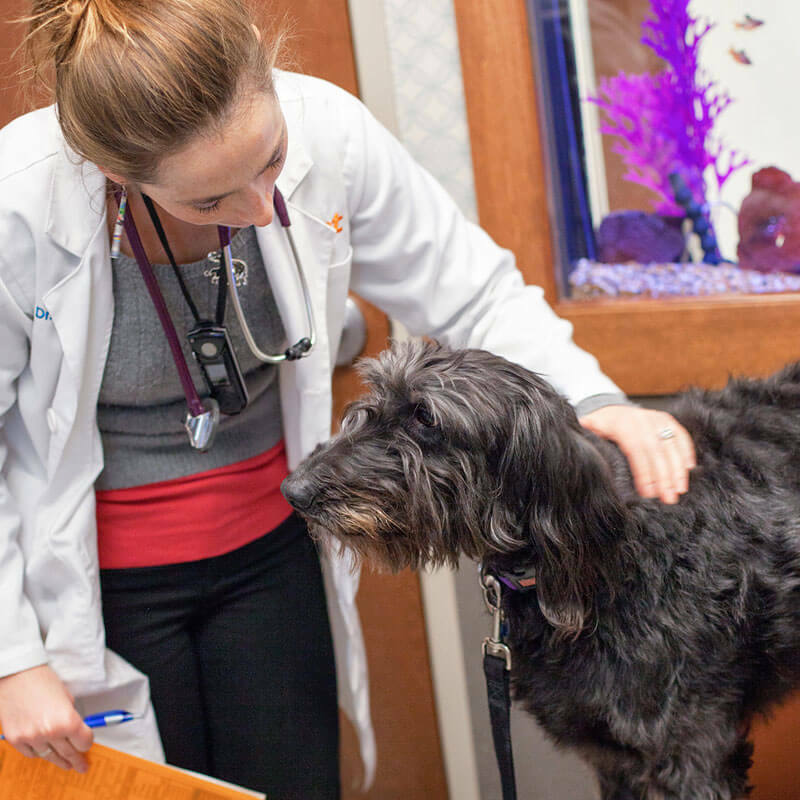 This can significantly decrease hospital time and recovery for your pet. In select group of female canine patients, diagnostic cystoscopy can be performed. Cystoscopy is a procedure in which a camera can be inserted in the urethra and bladder for diagnostic purposes and to perform biopsies without any incisions at all! Scottish Terriers are a breed of dog that are particularly prone to bladder cancer. Cystoscopy is highly recommended as a screening technique in this particular breed and in other breeds which have a high suspicion of cancer in the bladder. Join the 1st Pet email list and get a complimentary 1st Pet Welcome Pack! What Do You Need to Know About Spaying Your Dog?